Booker: Global warming greatest delusion in history? This damning article from Christopher Booker is best appreciated in the whole — I redact none of it. May our leaders notice it. Now, to be sure, there’s no sign here of the extreme obsession with global warming that marks the UK government. Thus, there is no local concern with the excesses the UK displays over reducing their carbon footprint. However, we do exhibit a singular desire to lead the world in defeating the efficiency of our world-leading industry and agriculture. So we object! This analysis from Mr Booker elucidates some of the excellent reasons why we object. The scare over man-made global warming is not only the scientific scandal of our generation, but a suicidal flight from reality. To grasp the almost suicidal state of unreality our Government has been driven into by the obsession with global warming, it is necessary to put together the two sides to an overall picture – each vividly highlighted by events of recent days. On one hand there is the utterly lamentable state of the science which underpins it all, illuminated yet again by “Climategate 2.0”, the latest release of emails between the leading scientists who for years have been at the heart of the warming scare (which I return to below). On the other hand, we see the damage done by the political consequences of this scare, which will directly impinge, in various ways, on all our lives. The New Zealand Wind Energy Association commissioned a report from Infometrics which was released a few days ago. It claims that New Zealanders could be $390 pa better off with 20% more wind energy than at present. However, Bryan Leyland has some harsh things to say about it, including that it is “riddled with flaws” and makes a number of “very dubious assumptions”. The Climate Science Coalition might (probably will) produce a press release with more detail, but watch this space; if they don’t, we will. UPDATE: The press release from Terry Dunleavy has been published on Scoop. Our headline says “saving lies” with good reason; when an insider organisation gives out such misleading statements as this economic nonsense (I mean assuming ridiculously high prices for “carbon”) they do so not from ignorance but deliberately. For those hoping our ETS will stem our emissions by requiring a price for them, the Greens have got it badly wrong. The financiers won’t get rich, neither will the Earth become cool, because the price is collapsing here, too. First Europe (two or three times!) and now New Zealand. When will the government refund all the extra we’ve been paying for petrol and power? Billion tons CO2 = how many °C? I’m sick of all these claims that we should, or even can, limit the world’s warming to 2 °C. Here’s a challenge: name a scientist prepared to make this assertion and describe the evidence for it. It appears to be no more “settled science” than an unsubstantiated urban myth. At the very least, there’s so much uncertainty about the climate sensitivity to warming that we don’t know the effect on temperature of, say, 5 billion tonnes of CO2. Climategate II – will the liars never learn? There is no truth in the rumour that humanity is influencing the climate in any measurable way. The proof of that is that our world-leading climatologists don’t believe it. They only say so in public, the dirty deceivers. Filthy liars, from Britain to America to New Zealand and even our own NIWA. This deception has been exposed once already, yet they have persisted and built it up all over again. Calling them imbeciles gives honest morons a bad name. Will they never learn that misleading their electorate is not the way to prosper? Gratifying that the MSM are responding right away. Richard Black, at the BBC, takes a laid-back view, opting to invent exculpatory explanations for some of the incriminating-sounding statements. A Google search for “Climategate II” (with quote marks) already returns over 97,000 hits. Yes, it’s going to be entertaining. The SPM (I’ll call it the “report” from now on) is remarkable in its candour. The IPCC, once wanting to become the world’s evil overlord, with fingers in public and private pies everywhere to compel compliance with its anti-carbon agenda, acknowledges its ignorance and uncertainty about the climate. 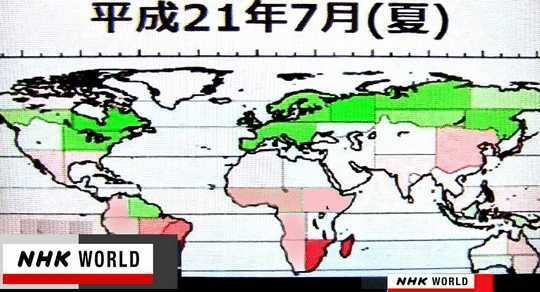 A few hours ago China shocked the world. China has responded to efforts to ban the trading of widely discredited HFC-23 offsets by threatening to release huge amounts of the potent industrial chemical into the atmosphere unless other nations pay what amounts to a climate ransom. This will have sensitive people trembling in their boots. Those who believe these gases can actually alter the climate and make holes in the ozone layer (which contradicts the science) will have nightmares; the rest of us simply encourage our leaders to refuse to bend to China’s bullying. China’s threat comes after the European Union and other nations moved to ban HFC-23 credits from internal carbon markets in recognition of the perverse incentives created by these credits under the UN Clean Development Mechanism (CDM). The vast amounts paid for HFC-23 offsets have led factories in China and elsewhere to manufacture far more HCFC-22 and its HFC-23 by-product than necessary, just to maximize the amounts paid to destroy HFC-23 through the UN-backed carbon trading scheme. Why not admit the truth, which is that China (and others) have deliberately set up shop to manufacture these CFCs solely in order to collect the unreasonably huge bounties (70 times the cost of destroying it) offered by the outstandingly stupid (or frankly self-serving) UNFCCC under its “Clean Development Mechanism”. Limited distribution licences available now — be quick! it’s a licence to print money! Become an entrepreneur instead and sidestep those difficult university courses. Earn much more money than a scientist – but still share the prestige of saving the planet. Obama knows all about it. Can we do it? Yes we can! This is even easier than issuing carbon-footprint certificates. Unleash climatology’s true potential (to scare people) – no messing about with expensive, time-consuming experiments that might not prove anything. Don’t be stuck in your laboratory for a moment longer – get onto the street and smell the fear! Our cans hold the secret to your success! Distribute the true bottom line results of climate science without the expensive satellites. Never buy another spreadsheet program. Save on all those extravagant professorial salaries, but still keep the mayor and councillors in awe of your leading-edge scientific knowhow. Our canned terror is the real thing! Know nothing about the climate? Make lots of money anyway – distribute our range of canned climate products in your community. People love being terrified – the customers queue up for our products and can’t get enough of them. Remember, get them started on our products in Kindergarten and they’ll be yours for life! Our range now better than ever! 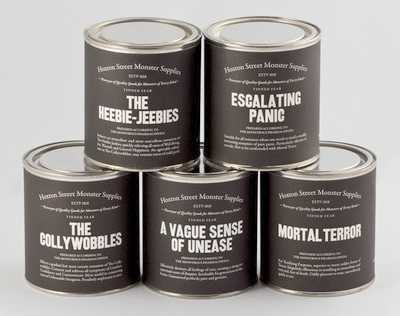 With the recent introduction of A Vague Sense of Unease, our product line is complete, right up to the literally heart-stopping Mortal Terror. Keep these babies going out the door and listen to your neighbourhood scream through the night! Government certified and licensed by the IPCC under the Tropical Grasslands Protocol, successor to the short-lived Antarctic Protocol, after it refused to melt. A story, Analysis confirms global warming data, accounts for urban heat islands, appeared in the Science Media Centre (SMC) on 21 October. I missed it then, but it’s been brought to my attention in correspondence within the Climate Science Coalition. Wratt and Renwick are quick to assert that this non-peer-reviewed temp study reinforces their suspicion that UHI is an insignificant factor. They both refer to numerous other authorities. I thought the leading paper supporting this view was Phil Jones’ China study of about 1991, which he has recently admitted to be based on a mistake. Are there any others which debunk UHI? This one’s really off the radar. Wind farms, along with solar power and other alternative energy sources, are supposed to produce the energy of tomorrow. Evidence indicates that their countless whirring fan blades produce something else: “blank spots” that distort radar readings. Everyone loves well-crafted prose, even when the author of it opposes their point of view. 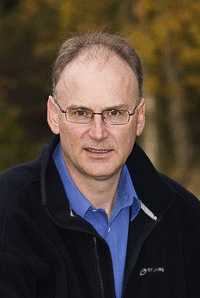 So it is with Matt Ridley, well-known author of The Rational Optimist: How Prosperity Evolves, in less than a week earning nearly 9000 Google hits on his “Scientific heresy” address to the Royal Society of the Arts in Edinburgh on 31 October, posted at Bishop Hill. Even alarmist Gareth Renowden appreciates Ridley’s wordcraft before scorning his so-called climate science. Ridley’s given us an admirable piece of work on several levels. His writing is a pleasure to read, he gives good information and clearly sets out his thinking on a tour of the weaknesses in the current alarmist view of the global climate. In doing so he warms the cockles of sceptical hearts everywhere while enraging the alarmists with his “well-known sceptic tropes”. That’s the view according to Renowden. Poor things; claiming emptiness for Ridley’s contentions is a flaccid stand-in for a cogent rebuttal. Ridley concludes that science “needs heretics” and one can appreciate the radical point that even heretics should be heard. But he leaves unstated his crucial implication that evidence elevates the climate “heretic” above all the cereologists, astrologers and eugenicists in history, while true heretics need no evidence. Here’s his address, copied from Bishop Hill with appreciation and thanks. I also repost the document Mr Montford prepared, with its helpful diagrams (pdf, 1865KB). It is a great honour to be asked to deliver the Angus Millar lecture. I have no idea whether Angus Millar ever saw himself as a heretic, but I have a soft spot for heresy. One of my ancestral relations, Nicholas Ridley* the Oxford martyr, was burned at the stake for heresy. My topic today is scientific heresy. When are scientific heretics right and when are they mad? How do you tell the difference between science and pseudoscience? Let us run through some issues, starting with the easy ones. Astronomy is a science; astrology is a pseudoscience. Evolution is science; creationism is pseudoscience. Molecular biology is science; homeopathy is pseudoscience. Vaccination is science; the MMR scare is pseudoscience. Oxygen is science; phlogiston was pseudoscience. Chemistry is science; alchemy was pseudoscience.